Carlo Monichino and wife Margaret started their lifelong dream of building a winery over 50 years ago in 1962. Carlo Monichino was a true pioneer of winemaking in the Gouburn Valley Wine Region. He first migrated to Australia from the renowned wine growing region of Piedmonte in the Asti region form Northern Italy in 1949, when he was just 18 years old. In 1962 , his dream came to fruition at a property in Katunga where Carlo developed not only a vineyard, but a winery as well and created his well-known brand of unique Goulburn Valley Wines. Carlo was the first person to apply for the vignerons license after the war and started studying wine making at a college in Dookie. 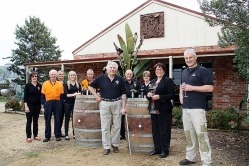 After years of hard work and dedication Carlo and Margaret opened the original cellar door. Over the years , Carlo continued to grow new varieties and to innovate. The business kept growing and demand for his wines continued with constant experiments with various grapes and wine vareities. He was rewarded with many trophies and medals. 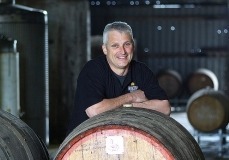 The stand out was the Chris Killeen Trophy for best Australian Vintage fortified red, plus many others. Monichino Estate Wines now has 25 Hectares under vines and currently produces approximately 10,000 dozen wines. In 2000 the winery had expanded enough to open a new cellar door big enough to hold the 27 varities of wine made at the winery. 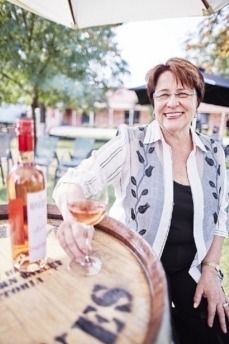 The Winery is very much a family business with Anna managing the sales and marketing with brother Terry as the Chief winemaker. In 2012 the Monichino family celebrated their 50 year anniversary. Today you can still find Terry and Anna at the winery. All family members are involved in the business in some way or another.It is a truely family owned and run winery with the rich Italian culture still flowing strong. 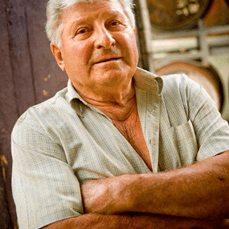 Carlo Monichino, our founding winemaker passed away in September 2015. We will miss his charismatic personality and I am sure our customers will too! He leaves behind a great legacy and winery. The Monichino Wines cellar door is open 5 days a week with opening hours being 10am-5pm Wednesday to Sunday. We are closed Monday and Tuesday. Call in for a friendly chat over our award winning wines. Our friendly staff can help you with your wine selection and offer you information on food and wine matches. Take the time to relax in our garden with a glass of wine and your own picnic hamper. Also keep up to date with any pop up pizza days or other upcoming events by joining our facebook page. We cater for functions & weddings for up to 120 people. Guests attending any function or wedding at Monichino Winery will be sure to share our passion for good food & magnificent wines. Monichino Wine Club is about rewarding customers who are passionate about Monichino Wines, creating fantastic discount packages, allowing you to indulge in quality wines. The seasonally released newsletters supply you with the latest information on awards, events and whats happening at the winery.